The South China Morning Post reported on Tuesday that China is constructing a military base in a remote region of Afghanistan close to Xinjiang, the troubled province where much of China’s Muslim population lives. Both Chinese and Afghan officials quickly denied the report and said China is merely helping to train Afghan counter-terrorist forces. This was the claim disputed by both the Afghan embassy in Beijing and the Chinese foreign ministry, which said China is helping train Afghan troops to fight terrorists but has no intention of stationing any military personnel in Afghanistan. “We have checked on this report and it is not true,” Foreign Ministry spokeswoman Hua Chunying said on Wednesday, without elaborating further. The SCMP noted China at one point denied it was funding or participating in any form of base construction in Afghanistan, but multiple international media sources now report some form of construction is underway, and Chinese military vehicles have reportedly been spotted in the Wakhan corridor. The point of contention now is whether Chinese troops will be stationed there. China has three clear reasons to establish a military presence in northeastern Afghanistan. 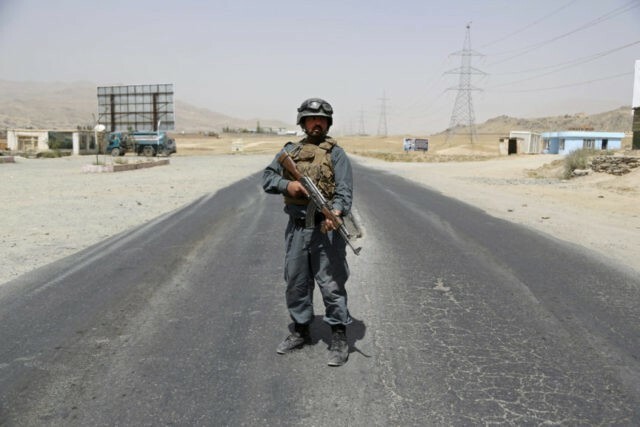 The first is that President Xi Jinping wants his “Belt and Road” infrastructure program to include Afghanistan, and such large-scale construction would be unimaginable if the Taliban and ISIS are still waging bloody terrorist campaigns against the government in Kabul. China is increasingly worried about Islamic militants targeting Belt and Road projects. The second reason is an enormous copper deposit called Mes Aynak located southeast of Kabul. China spent at least $3 billion on developing a copper mine that could prove to be worth over $100 billion in the long run, but the project has been delayed by security concerns, the presence of an important archaeological site, and allegations of corruption. The third reason is that Beijing fears the militant Islam of the Taliban and Islamic State will spread into Xinjiang and infect the already uneasy Uighur minority. China is already oppressing the Uighurs on a gigantic scale, essentially turning the entire province into a re-education camp. This oppression creates fertile ground for revolutionary ideology and a resurgence of the Uighur separatist movement China is trying to stamp out. Uighurs have their own militant organization, the East Turkestan Islamic Movement (ETIM), which has been forging an alliance with the Taliban. The U.S. military conducted airstrikes in February that targeted Taliban camps where ETIM fighters were training. Chinese security policy envisions “three evil forces” at work in Muslim countries bordering on China: terrorism, ethnic separatism, and religious extremism. Chinese policy sees the Three Evils as mutually reinforcing, so they must all be suppressed in concert, or else any one of them can help the others regenerate. The harsh crackdown in Xinjiang province is justified by Chinese officials on the grounds that the Three Evils have reached critical mass and can only be controlled with extreme measures, an argument reinforced by concerns about organized extremist groups like the Taliban smuggling weapons, training, and ideological reinforcement into China. One official told Crisis Group that “There are quite a lot of Chinese soldiers here” in GBAO, but that they kept a low profile. Another mentioned a “Chinese security installation,” categorizing it as a “a joint counter-terrorism center” also housing Tajik forces. In recent years, China has engaged more closely with Tajikistan, Afghanistan, and Pakistan on border security and counterterrorism, with Beijing’s eye firmly fixed on Xinjiang. The UK Telegraph adds that China hopes to establish a naval logistics hub in the Pakistani port of Gwadar, which Beijing is scheduled to control until 2059.